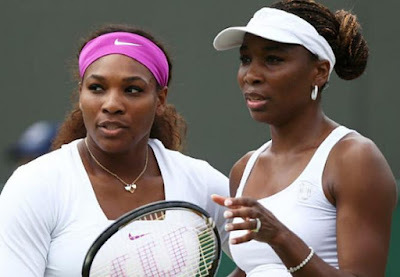 Tie Break Tens, the new fast-paced short-form tennis format, has confirmed that tennis legends Serena and Venus Williams will compete in the 5th tournament of the Tie Break Tens series at Madison Square Garden on March 5th. The all-women contest is the first time a Tie Break Tens tournament will be held in the United States and follows successful tournaments in London, Vienna, Madrid and Melbourne. Tie Break Tens tournaments are held over one session and involve 8 players competing in a knock-out format, with each match consisting of a super tie-break to ten points. For the New York competition, eight world-class female tennis players, including the legendary Williams sisters, will battle it out to raise the trophy and secure the $250,000 winner’s prize. Serena Williams is one of the best tennis players of all time, with more than 300 weeks as world number one, 23 singles Grand Slams, 14 in doubles and 2 in mixed doubles and four Olympic Gold medals. The most recent Tie Break Tens tournament was held in Melbourne Park’s Margaret Court Arena earlier this week in association with the Australian Open. The tournament included the men’s tennis world’s most successful champions including World No. 1 Rafael Nadal and former World No.1 Novak Djokovic as well as Nick Kyrgios, Milos Raonic, Tomas Berdych, Dominic Thiem, Lucas Pouille and Lleyton Hewitt. After a heated battle with Rafael Nadal in the final, World No. 19 Tomas Berdych, was crowned the Tie Break Tens champion. The first Tie Break Tens tournament was held in 2015 in London’s Royal Albert Hall, where British rising star Kyle Edmund saw off top-seed Andy Murray in a gripping final to take the $250,000 prize. There have also been Tie Break Tens tournaments held in Vienna in 2016 and Madrid in 2017, where World No. 1 Simona Halep smashed her way to victory in the women’s tournament before going on to win the Mutua Madrid Open. The remaining six participants in the tournament at Madison Square Garden will be announced shortly.